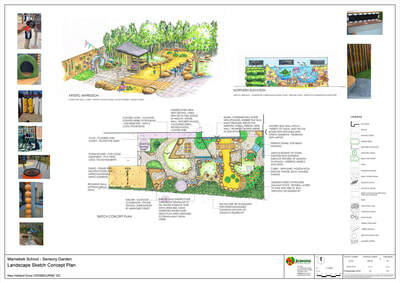 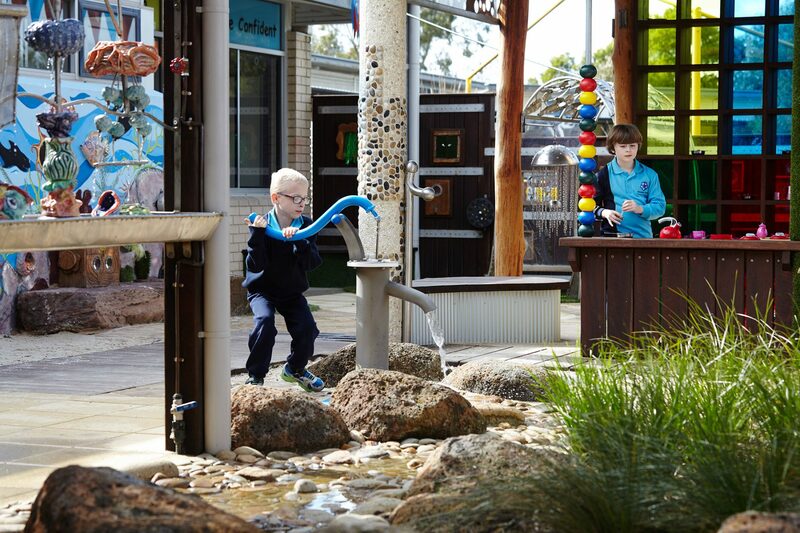 The Marnebek playspace design centres around a meandering path, a pump fed stream and integrated planting, carefully designed to create different ‘rooms’ as well as forming a wind buffer around the site. 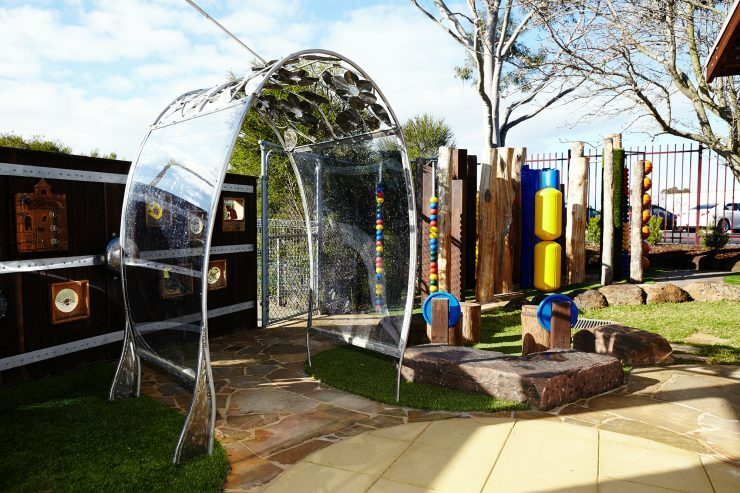 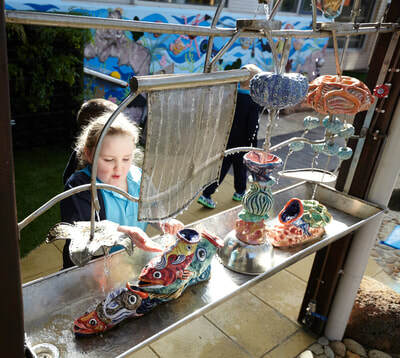 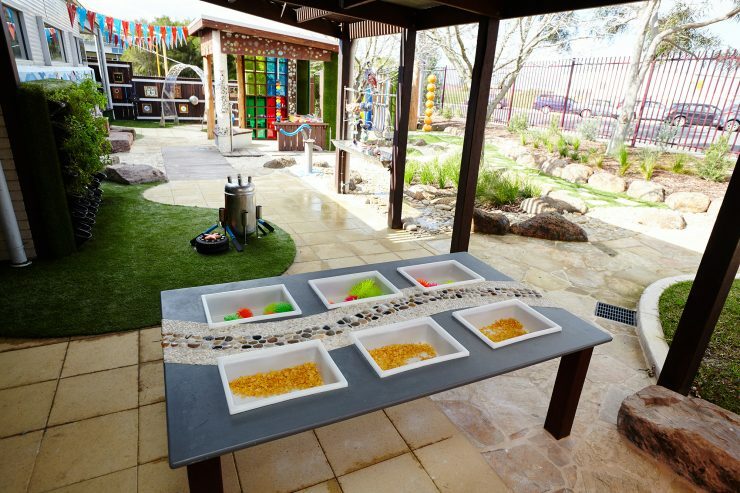 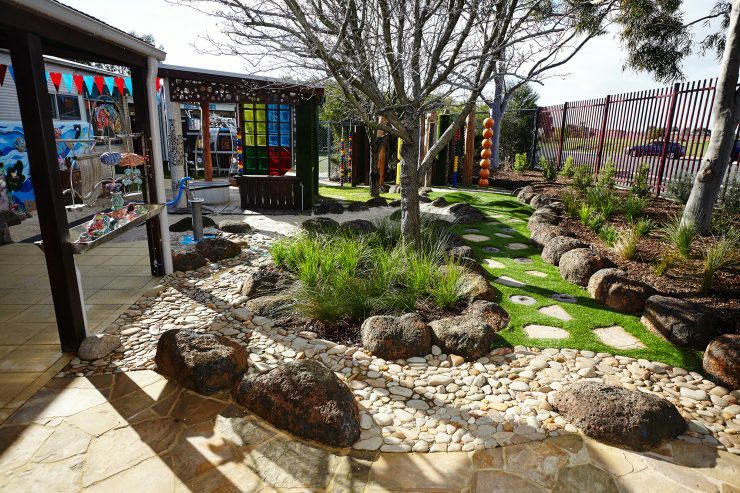 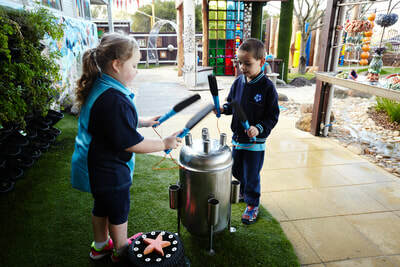 The space has been designed to offer a wide range of sensory experiences to the students for use by both individuals and groups in both play and therapy. The selection of specific materials and planting enhances the sensory experience of the user. 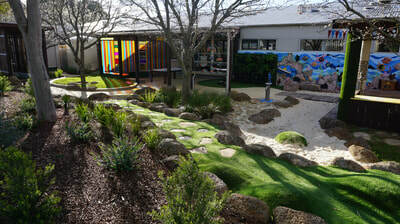 Paving and fences comprise of unique textures that are contrasted and complemented by the natural colours and textures of a detailed planting palette. 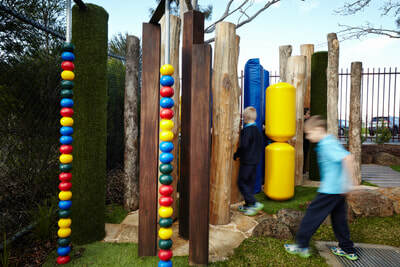 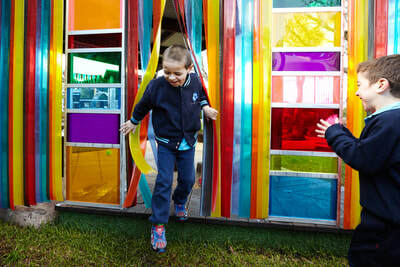 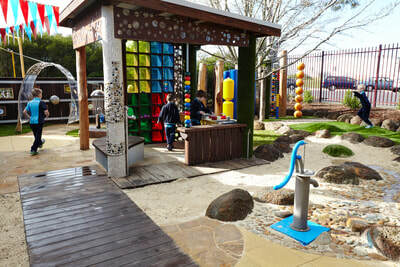 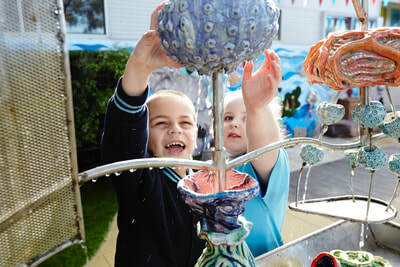 Interactive sound and art sculptures have been designed by Hapi Sounds and Honeyweather & Speight and form an integral part of this outdoor space. 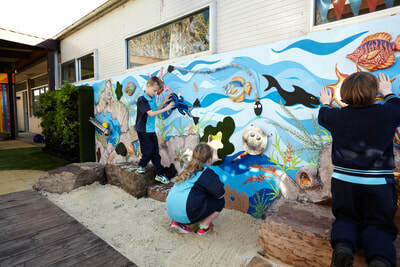 These artworks are accessible by all students and add another unique layer of enhanced sensory experience to this playspace.